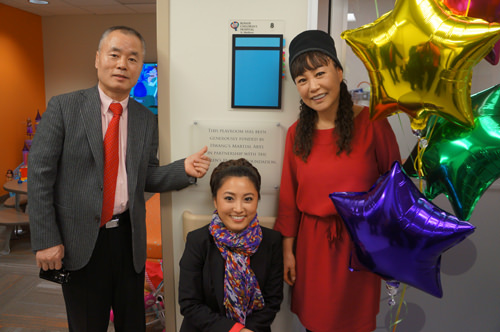 Just when you think we’re safe in 2015, and Asian Americans have a real foothold in American society–living stereotype-free without fear of discrimination–along comes a story like this one involving the Hwang family. It’s like a brick of firm tofu to the side of the head. How about being referred to as greedy Asian “foreigners” or suspected of being an “illegal alien” just because you speak with a slight accent? If it happened to you, you’d swear you had been placed in Mr. Peabody’s way-back machine 30 or 40 years ago, when Asian Americans were such a micro-minority, and so invisible, that such treatment would still be fairly common. Well, it happened to the Hwangs last week. Before the details, some history. When Mimi Hwang left San Jose State with a business degree in 2009, she didn’t want to leave California, where Asian Americans seemed to be just about everywhere. But the naturalized citizen, born in South Korea, decided to do what the oldest child often feels compelled to do. She joined the family business to help her immigrant parents with the goal of growing their American dream together in Louisville, Kentucky. Mimi’s father, Jung Oh Hwang, immigrated in the ’80s. After winning the Silver Medal in judo at the ’84 Olympics in Los Angeles, he was hooked. He wanted to be an American. Jung Oh Hwang earned a Masters in physical education at the University of Tennessee in Martin, was naturalized along the way, then made his way to Kentucky. He brought over his wife and infant daughters. And now in 2015, he’s fulfilled his vision to be a successful small businessman, the cornerstone of American capitalism, as the owner of Hwang’s Martial Arts Academy. Three locations and 800 happy diverse students. Except one, who after three months decided to cancel his pre-paid year-long contract. The student wanted all his money back. Medical reasons were given. The Hwangs were happy to oblige a partial refund. But that wasn’t considered good enough. The student, an African American, had his family contact an attorney, Karl Price, who is also a part-time assistant county attorney in Louisville. 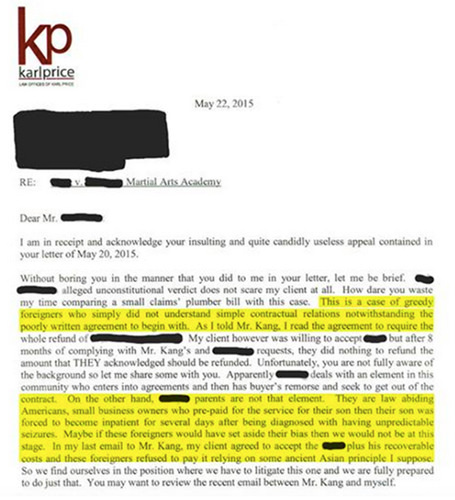 Price, on his private practice letterhead, decided to send a bullying letter to the Hwangs’ attorneys. Does Price mean the principle of “honor”? Pretty universal one there. Oh, and the “recoverable costs”? Those were mostly the legal fees, like the costs of Price to write his indelicately racist and ignorant letter. She was further upset when she read what Price said to Insider Louisville reporter Joe Sonka, The attorney not only defended his letter but his belief that the Hwangs were somehow “illegal aliens” because of their broken English and frequent visits to Asia. The social media component was Hwang’s doing. It’s what she does for the family business, besides serving a a black belt Tae Kwon Do instructor. She tweeted and Facebooked. The story spread widely. When Price’s boss, Jefferson County Attorney Mike O’Connell, got wind of the case, there was no question of the inappropriate tone in Price’s letter, even though it was in his private practice. It still didn’t cost him his public sector job. But Price got an official reprimand. That’s not just for white folks. You just don’t expect an African American to need remedial sensitivity training. In fact, Mimi Hwang wondered about Price’s lack of empathy for other people of color in the first place. Indeed, after the story broke, the Louisville Courier-Journal uncovered other instances in which Price has used insensitive language to berate women and fellow minorities in his role as county prosecutor. The reprimand may not be adequate after all. Something harsher would satisfy Hwang, who’s concerned that Price is still a public employee being paid with her tax dollars, something she feels he is no longer entitled to after expressing his biased views about Asian Americans. In the meantime, she feels she has learned a valuable lesson about being an Asian American in 2015. The experience with Price has opened her eyes. It made her realize the importance of being a black belt, and an activist to boot. 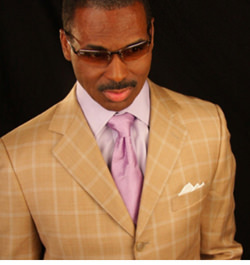 Update: The Courier-Journal reported on June 4 that prosecutor Karl Price was suspended without pay by the County Attorney, after he learned that Price had a history of ridiculing defendants in court, https://cjky.it/1JqbLbA.